Congratulations to "Donna E.", the winner in Nicole's giveaway. Thank you to all who participated! I can’t say from an early age I wanted to be a writer. Oh, like anyone else, I had diaries filled with pages of story ideas and, a couple of times, long, dramatic family epics involving the people around me. I discovered romances at age fifteen, which changed the tone of those early writings. Some of those stories would have made La Nora jealous, let me tell you. But none of that really translated into imagining I wanted to be a writer. Only in the last few years has my love and appreciation of romances transitioned into a desire to write them. I assumed when I put fingers to keyboard, I’d write the same sort of stories I enjoyed reading. After all, one of the most common, and often debated, pieces of writing advice is to write what you know. It can be taken many ways—through emotions you’ve experienced, jobs/careers you’ve had, life experiences you’ve survived…or wished you hadn’t. It’s good advice. Great even, especially if, like me, you’re on the first few steps of your writing career path. I knew the push and pull of families, the drama of living in a small town, the disappointment of lost loves. All topics I could speak from a position of authority and confidence. When I sat down to write, to my confusion and amazement, those types of stories weren’t what spluttered onto the page. Confession: I write what I love to watch. Movies with thrilling edge of your seat stories. Implausible thrill rides television shows that jerk you around better than a rollercoaster. Crazy sauce, soap operas plotlines that keep you riveted even as you wonder what the crap you’re doing watching this in the first place, even as you know that’s not realistically possible. And how can the drama possibly get any worse? This is the stuff I write. Of course, this wouldn’t be a romance without a hero. Lt. Cole Anderson is a good guy but used to getting his way. Sue him, he’s a cop. And what he wants is Diane—protected and in his arms. Diane doesn’t mind being safe but trusting a man for that…well, that’s a problem. So, Diane decides she’ll do what she’s always done and handle this whole crazy business on herself. You know what happens next, don’t ya? Yeah, cue the bombs and explosions. What about you? Do you read what you like to watch? Or do you find your reading differs from what you like to watch? Let me know in the comments. I’ll give a Nook, Kindle or iBooks copy of Crazy on You to one lucky commenter! Diane Thompson wakes up in the backseat of her car, shocked to find she’s acquired a chauffeur. Realizing she’s been inadvertently kidnapped, she swears off tequila—and Chili’s—then dials 9-1-1. But her rescue comes at a cost. Her savior, too-macho-for-words Lt. Cole Anderson, refuses to let Diane out of his sight until her kidnappers are apprehended. He’s already lost one woman he cared about due to his inattention; he’s not letting it happen a second time. But Diane isn’t a damsel-in-distress type of girl. When it turns out the criminals left a valuable item in her car and they want it back, involving Cole isn’t part of her plan and not only because the criminals have forbidden her from involving the cops. Men are like birds—messy, easily distracted, and only around when there’s something to eat. She’s got this. All she has to do is find and return the item in question to the drug runners threatening her life, survive a high-speed car chase, and keep her vow to never trust a man with her heart. Nicole Terry is a southern gal with northern sensibilities or, depending on the day, a northern gal with southern sensibilities, thanks in large part to the unique location of her home. 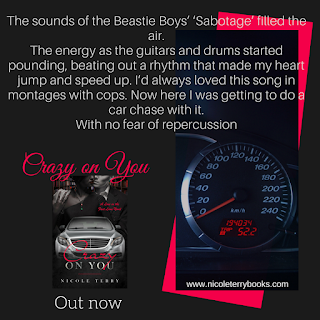 Writing allows her to share the crazy that results from the dichotomy. She believes in the healing power of laughter, Cherry Dr Pepper, Justin Timberlake and, most importantly, happily ever after. 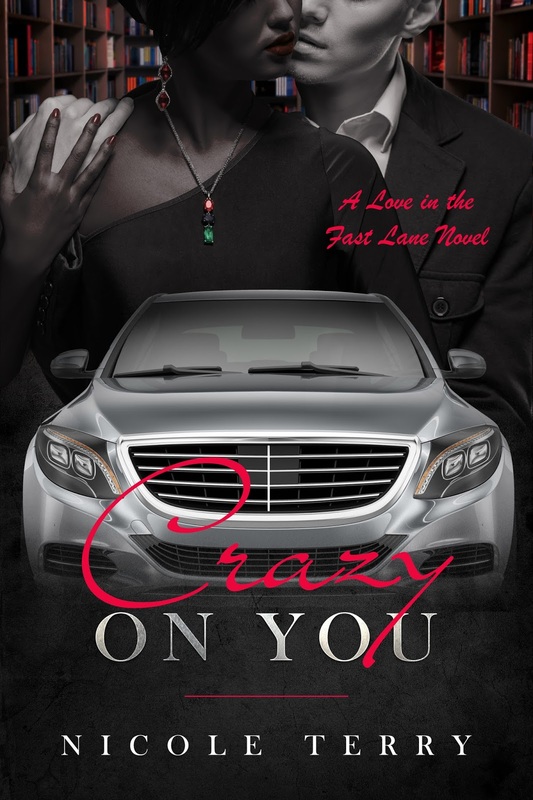 Crazy on You is her first book and her homage to her random tendencies, love of alpha heroes, and soft spot for women who find love in the craziest ways. 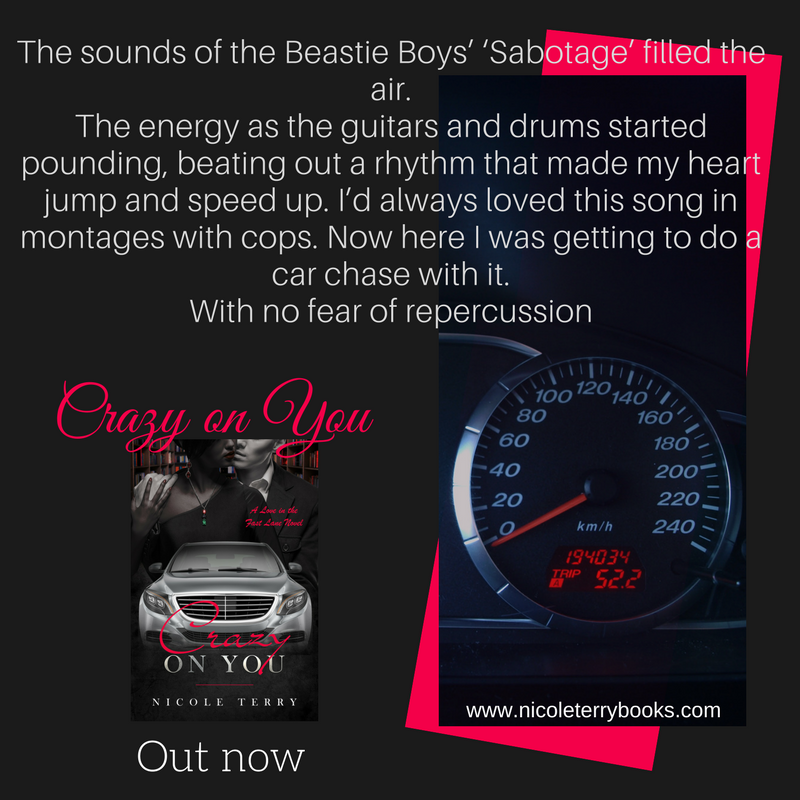 Visit her website www.nicoleterrybooks.com for even more crazysauce awesomeness on her blog. Giveaway ends 11:59pm EST January 25th. Please supply your email in the post. You may use spaces or full text for security. (ex. jsmith at gmail dot com) If you do not wish to supply your email, or have trouble posting, please email maureen@justromanticsuspense.com with a subject title of JRS GIVEAWAY to be entered in the current giveaway. Thank you Linda for stopping by! Hi, Natalie! This, exactly! :P The lack of implausibility is my favorite part. I'll have to check out those shows. I could always use some more information for my writer's inspiration box. I like action movies, "Hallmark" movies, detective / crime / mystery type TV & movies. And I like reading mysteries, romance, romantic suspense. I know many people read & the story unfolds in their mind like a movie -- pictures, scenes, etc. I do not 'see' when I read, no picture in my mind's eye, no stream of scenes or action. Hi Donna! Like you, the story doesn't reel behind my eyes like a movie...but it does when I write. And I LOVE the Hallmark Mysteries and Movies channel. It differs for me too, sometimes. I'm a mood reader and a mood watcher. I don't watch a lot of tv. My favorite books to read are romantic suspense and lately cozy mysteries. Hi, Martha! Yes, cozies are some of my favorites too. Hi, Joyce! You know what you like!